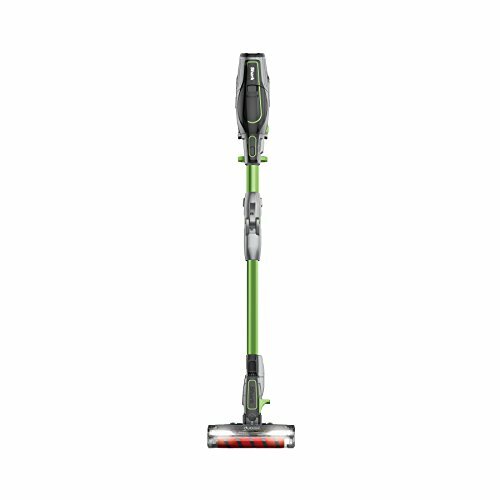 The Shark IONFlex provides the benefits of DuoClean technology with cordless convenience. Removable, rechargeable ION Power Pack lithium-ion battery provides cleaning power where and when you need it with a variety of charging options. Featuring DuoClean Technology, a combination of a bristle brush and soft roller invented to clean fine dust and small and large particles on both carpets and floors. MultiFlex Technology folds over for compact, free-standing storage and provides flexible reach to get under beds, couches, and tables. Smart Response Technology provides a range of performance-enhancing power settings, tailored for your cleaning needs on carpets and floors.